annikriesche has no other items for sale. Thank you for your purchase! I hope you enjoy your soap! Please let me know if there are any problems! Unwanted or unsuitable items can be returned or exchanged within 30 days of receipt. 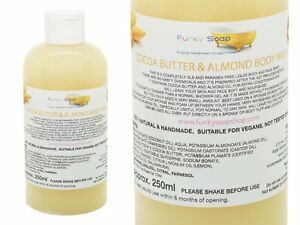 Please refer to the returns and exchange policy on our website: www.stores.ebay.co.uk/funkysoap or get in touch with me: anni@funkyfeetshoes.com Thank you!